Crock Pot Salisbury Steak recipe with mashed potatoes and gravy is comfort food at it’s best and is perfect for Sunday supper. 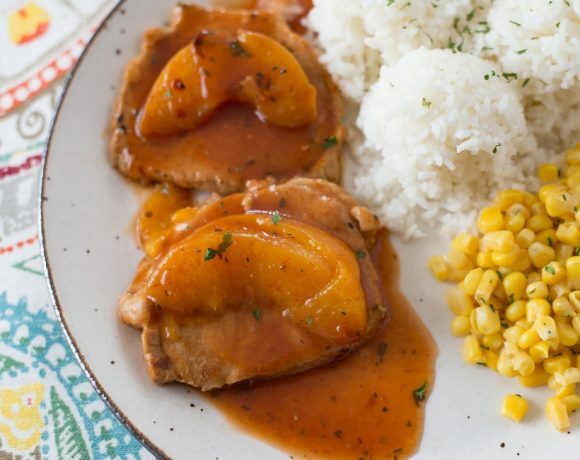 Tender Salisbury steak patties make for great leftovers the next day. 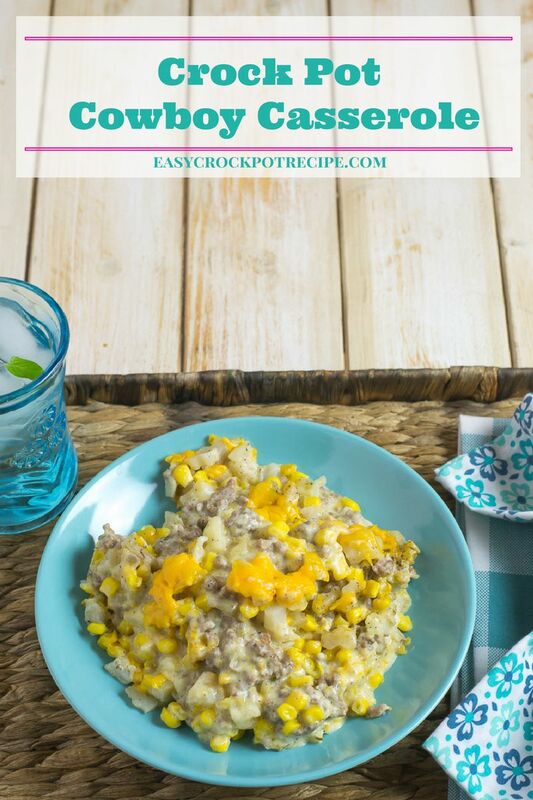 This easy crock pot ground beef recipe is going to become your new favorite crock pot meal. 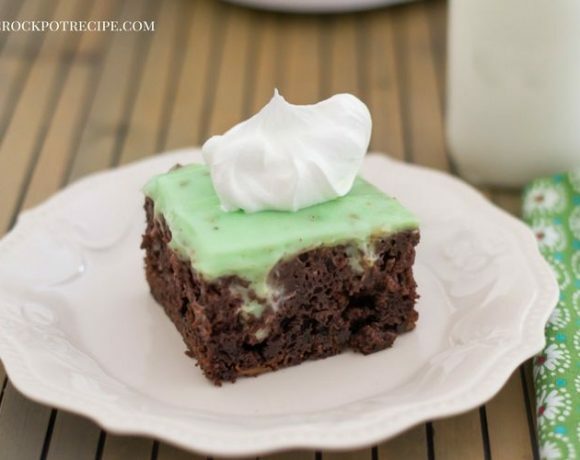 Don’t you just love those favorite childhood meals all the more now that you are older and wiser? Salisbury Steak is one of those comfort foods that fills the belly and feeds the soul. 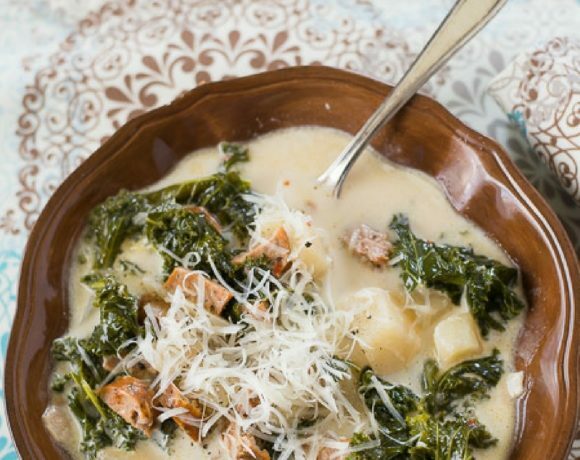 You just can’t help getting those warm fuzzy feelings when you serve an old favorite meal. Salisbury steak is so easy to make when you cook it in your crock pot. The seasoned ground beef patties cook to perfection in the slow cooker. The best part is that you don’t have to stand over the stove. Once you quickly brown the Salisbury steak patties in a skillet you transfer them to the crock pot and add gravy ingredients. As the Salisbury steak patties cook the gravy thickens. 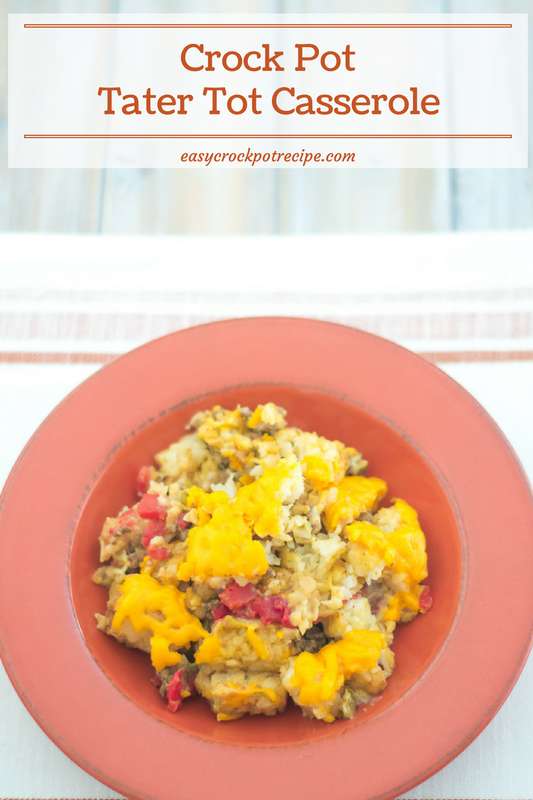 Then all you need is a big pile of homemade mashed potatoes and a favorite vegetable to serve on the side. Crock Pot Salisbury Steak is a perfect man crock pot recipe. 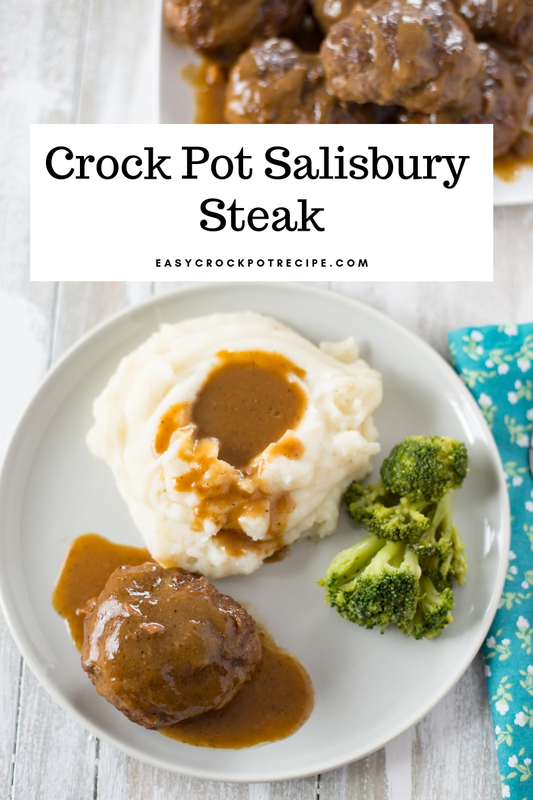 If you are a meat and potatoes kind of guy or the man in your life is than you will want to make this Salisbury steak recipe in the crock pot. If your cooking for one the leftover Salisbury steak patties can be frozen for another day. Or enjoy a Salisbury Steak sandwich the next day for lunch. 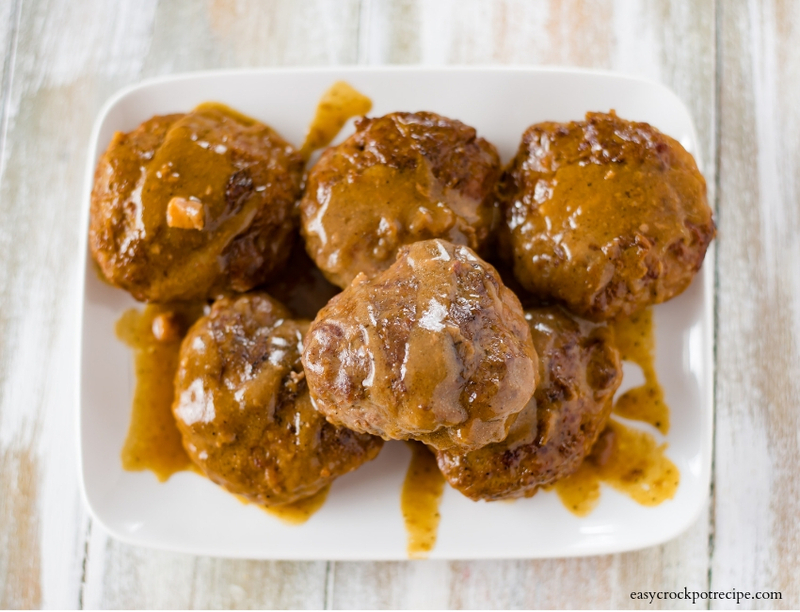 When you cook the browned Salisbury steak patties in the gravy ingredients in a slow cooker the ground beef absorbs the flavors and taste delicious. The gravy tastes amazing drizzled over mashed potatoes but you could pour it over any type of potato side dish and it would still taste amazing. Place the browned patties in the bottom of a 6 or 7 quart slow cooker. In a bowl mix the cream soup, water and Aus Ju Gravy mix until combined. 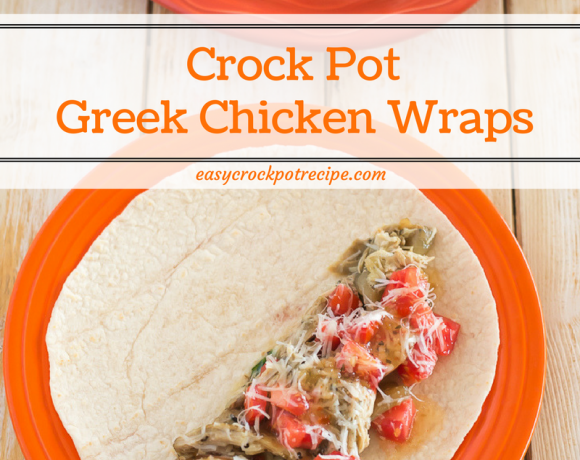 Place the lid on the crock pot and cook on high for 3 hours on on low for 4-6 hours. Salisbury steak is done when the patties are cooked through the center. Serve the Salisbury steak with mashed potatoes and a vegetables. 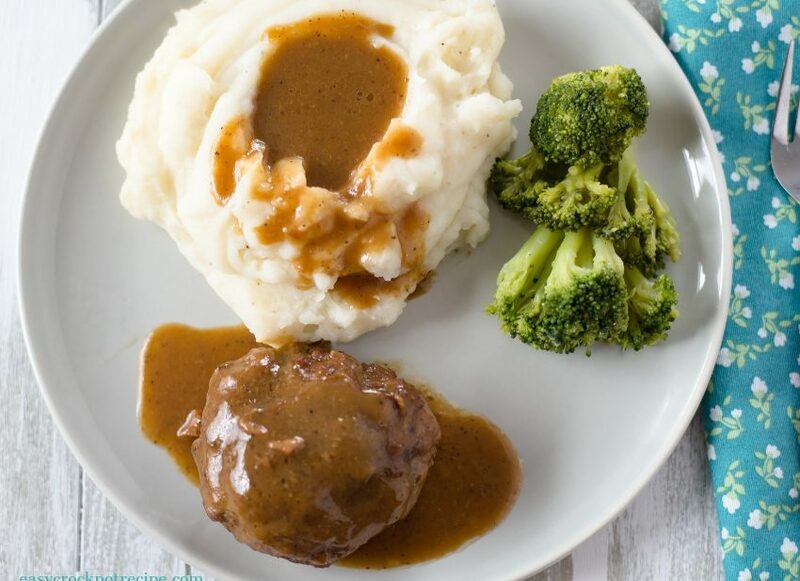 Crock Pot Salisbury Steak recipe is comfort food at it's best. Served with mashed potatoes and gravy just like Mom made. 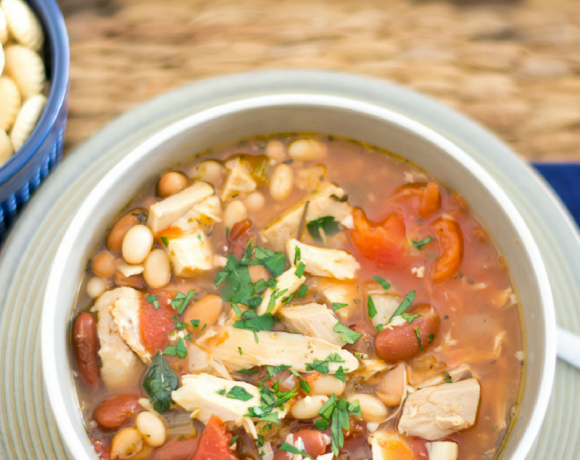 Place the lid on the crock pot and cook on high for 3 hours or on low for 4-6 hours. Salisbury steak is done when the patties are cooked through the center. Makes 4 - 8 servings. 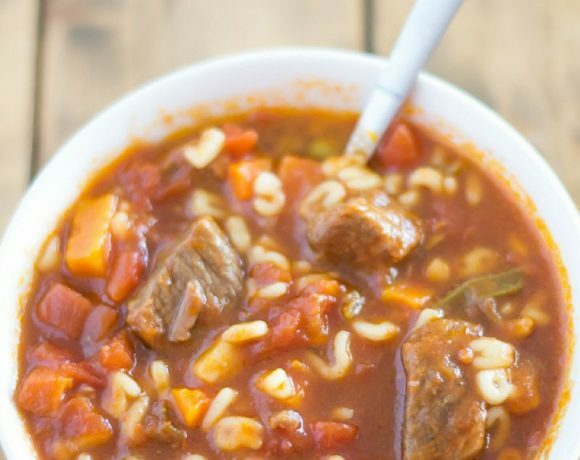 Check out these other Crock Pot Ground Beef recipes that are perfect for the hearty eaters of the family.